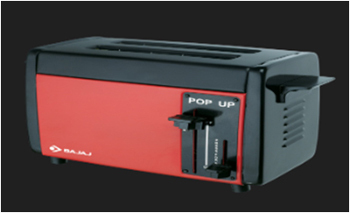 This Bajaj pop-up toaster is not provided with an automatic time setter. hence when one puts the bread into the toaster he/she has to keep looking over it if the bread is properly burnt or not. This is time taking and also causes frustration as one has to pop-up all the time by himself to check over for the status of the bread.